You can find an overview of all the recordings of the webinars on this youtube-page. Over the years, various Open Science topics have been presented in workshops, conferences and webinars. You can find an interesting variety of presentations on slideshare.net/OpenAccessBelgium. Feel free to use and re-use the information, they are labelled under a CC-attribution licence. 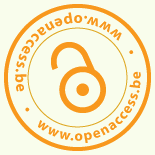 You can find more information on different policies and mandates on openaccess.be/policies-mandates-in-belgium. The Registry of Open Access Repository Mandates and Policies also provides an overview of Belgian policies: roarmap.eprints.org. OpenDOAR is a quality-assured global directory of academic open access repositories. You can find a list of Belgian repositories on their website v2.sherpa.ac.uk . More information about repositories can also be found on openaccess.be./open-access-repositories. For research data repositories in Belgium you can consult Re3data.org.